Mt. 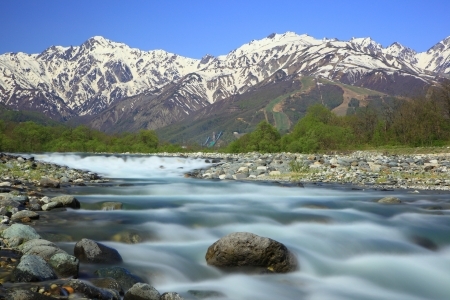 Goryudake And Matsukawa River Wall Mural features water flowing over rocks with a majestic mountain background in Hakuba Village, Nagano, Japan. Choose a preset size, or customize to your wall.